Let’s face it, we writers are always looking for interesting venues for book promotion. This week, my fellow Sister in Crime Jill Amadio writes about some of the different venues she’s pursued to promote her two mysteries Digging too Deep and Digging up the Dead. After promoting my debut crime novel to the usual online, broadcast, and print mystery media where I hoped (okay, begged) for reviews and interviews I realized: there are many other publicity outlets worth approaching that are outside-the-box and often neglected by many authors. “Yes, indeed,” I wrote to a gentleman in Virginia. “I believe I am definitely qualified to join your organization. My family played an active part in the St. Ives community when we lived there”. What was that all about? 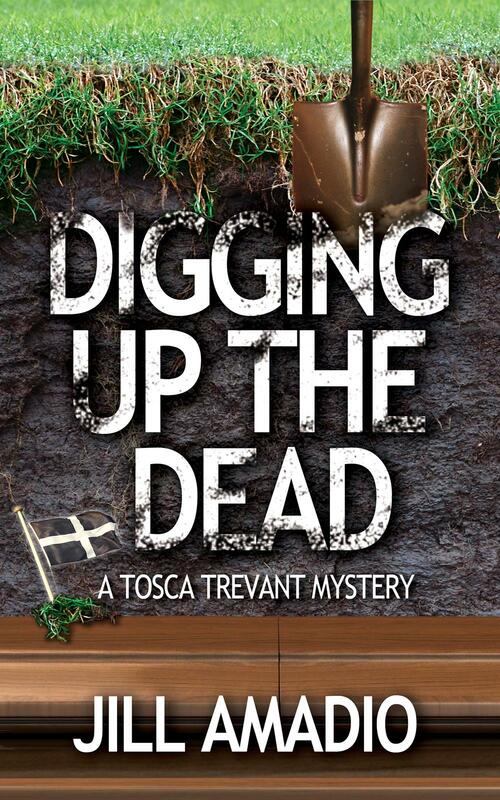 This conversation with the president of the Cornish-American Heritage Society came about after my book, “Digging Too Deep: A Tosca Trevant Mystery,” was published. I had endowed my amateur sleuth with a vocabulary of Cornish cusswords and a penchant for brewing tongue-curling medieval mead from the land of the piskies (Cornish elves). My initial reason for seeking out the Society was to get back in touch with my roots and because my main character is a Cornishwoman. But I had an ulterior motive. The Society has a newsletter that reports on various goings-on in Cornwall, UK, and on ex-pats. One delicious news item that caught my eye was that the Duchy of Cornwall was contemplating opening up an embassy in London now that the Cornish are finally recognized as an official minority. Lower the drawbridge! Tosca can have fun with that in her next book in the series, I thought. Then, Lo and behold, I noted that the newsletter also ran book reviews. Well, icing on the cake. The review and a blurb of my book appeared in the next issue. I noted, too, that with the Society holding events all over the U.S they provide signing opportunities. Their next meeting was in San Diego, California where I was invited to talk. When I attended their international Gathering of the Cornish Bards in Milwaukee, Wisconsin I had a book table and sold out. Another avenue for publicity came from a friend in New York, a leading classical music critic. He writes an internationally-syndicated column for ConcertoNet.com distributed in the U.S., Europe, Asia, and on the island of Karguella for all I know. He’d helped with research for the classical music details in my book and surprised me with a lengthy review. After it appeared in the Bangkok Post, Thailand I heard from a reporter I’d worked with years ago. She now owns a specialty museum that I’ll include in a future book. Again, grist for the mill, and an addition to her Facebook page. Some authors combine their non-literary careers with the fiction they write and are able to pursue marketing on both fronts. Psychological suspense writer Sheila Lowe, a certified forensic handwriting examiner and president of the American Handwriting Analysis Foundation, bases her protagonist in the Claudia Rose series on her daily job. Lowe’s expertise and testimony in court cases gains her entry and access to legal publications, legal blogs, and online sites where she can discuss real cases involving forensic graphology and at the same time promote her novels. Author Diane Vallere spent over 20 years in the fashion industry and her passion for shoes, clues and clothes encouraged her to base the fashionista sleuth in her Material Witness crime series on her own life. The list of custom blogs for just about every subject on the planet is growing by the week and looking for content. If you write about wine, gourmet cheese or other foods are you or your publicist sending review copies to bakers’ and grocery organizations for their blogs and newsletters? Have a knitting protagonist? Query crafts magazines. How about an ARC to women farmers’ associations if your setting is in rural America? The Internet is chock full of hobby newsletters that probably one of your characters enjoys although I doubt there is a milkmaids fellowship. I used to write an automotive column and sent my book, which features a vintage Austin-Healey sports car, to my pals at car magazines, and got reviewed. Alumni and club publications, too, welcome notices of new books. Hit them up for a talk and write on their blog. Platforms such as these provide ideas for finding new and unusual opportunities to promote your book. Turn over that stone! Yes, promoting books is time-consuming and often frustrating but it’s the road we’ve chosen to trek, and there are often wonderful, unusual, and unexpectedly rewarding results when we keep putting one foot in front of the other. 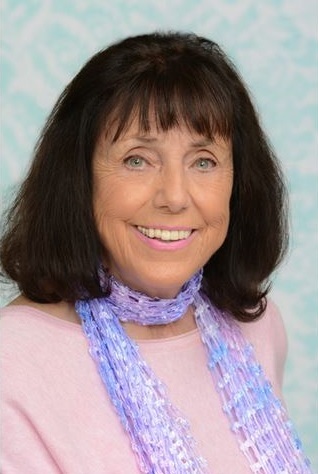 You can find out more about Jill and her books at www.jillamadiomysteries.com. I’m a novelist, too, Anne. Author of A SHIP OF PEARL and THE FABLE OF LITTLE TZURIE. I’ll have to look for those. Thanks for the comment. Excellent tips for happy sales. Keep at it…I’m rooting for you! My novel about golf and caves takes place in Italy. When I released, my event took place in a golf shop/cafe. Oh, yes! We have to be smart about where we sell! Thanks, and rooting for you, too. Love the golf shop idea. I’ve got a few plans for my next novel. Glad you think so, Ellen. So where are you promoting A Cajun Christmas Killing?